Telecare emergency alerts can help you stay independent. Learn more at TASK Community Care. Monitored emergency alarms and telecare helps many people including the elderly and disabled to stay independent and safe at home. Telecare can be used in any situation at home when a person needs help but cannot reach the telephone. At the most basic level, a telecare system consists of an emergency alarm button and base-unit Together this makes up what is often referred to as a socially monitored alarm. 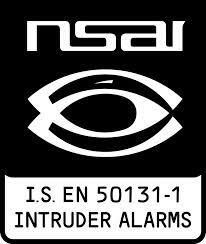 Socially monitored alarms are also known as social alarms, community alarms or medical alarms. The discreet alarm button can be worn as a pendant, a wristband, or clipped to clothing. When pressed, it connects wirelessly to the base unit (usually located in the hallway of your home). The base unit immediately dials through to operators at our 24/7 CareLink™ Monitoring Centre in Ireland. It has a two-way speech function and our trained CareLink™ operators will reassure you that help is on the way if needed. More advanced telecare packages consist of additional devices that can detect and minimise risks in the home. These devices also connect wirelessly to the base unit. They include automatic fall detectors, smoke detectors, Carbon Monoxide (CO) alarms, and flood detectors. These devices can combine to give you complete protection around the home. All the devices link wirelessly to the same base unit so you can add or remove them as required. To find out more please view our telecare products page. Please read our telecare Frequently Asked Questions for more details about our socially monitored alarms and telecare systems. You can also order your emergency telecare alarm directly through our online store or contact us for more information first.